It was a foggy day at the Santa Monica Pier. Between the gloom, and the carnival atmosphere, I couldn't help but to feel a dreamlike trance come over me. For this little escapade I wore creme on creme with gold details. Heavy knit sweaters are always nice for days like this. It wasn't exactly chilly, but it was still cold enough for something warm. Along with my sweater I went with these rock star off-white skinnies. What really attracts me about these pair of pants are the gold studs. I love me some studs. 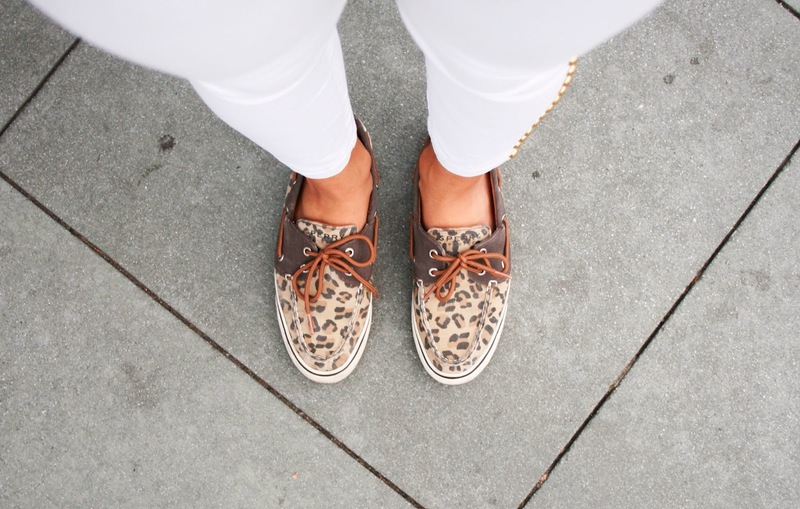 If you've never owned a pair of Sperry's, well let me tell you, go out and try some on! They're comfy, have a vintage feel, and go with so much. I kept the accessories golden in order to add some contrast to all the white, and although it was foggy outside, my little plastic clutch was as clear as daylight. Hence the Batman phone case is quite exposed. Hope you all have an awesome week, and don't forget to indulge in a little something that makes you happy. For me, this ice cream did the trick. Cheers!